On the right side of the entrance to the First Bank & Trust Tower on Poydras street, downtown New Orleans – is the huge statue of David, which I wrote about yesterday. 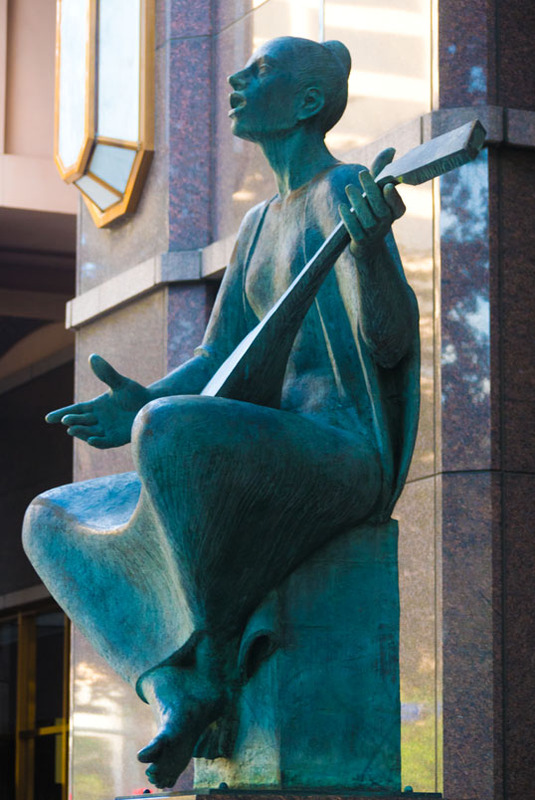 On the other side, also done by Enrique Alferez is “The Lute Player” a softer sculpture, adding a little contrapoint. This entry was posted in Art, New Orleans, sculpture and tagged Art, Music, New Orleans, poydras, Sculpture. Bookmark the permalink.